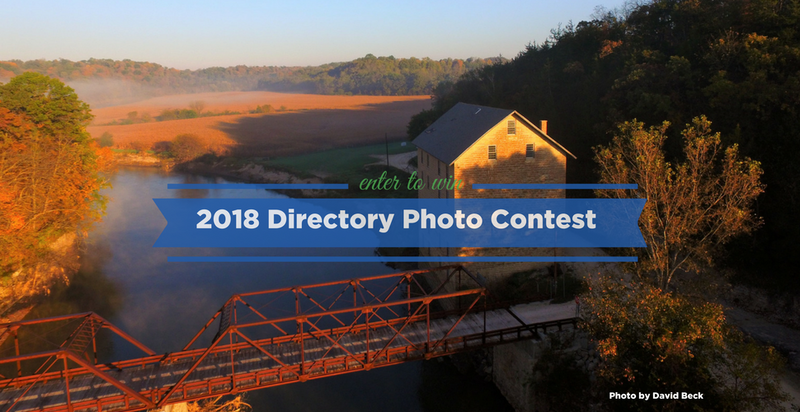 Take a shot at getting your photo on our 2018-2019 directory cover! 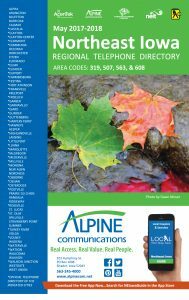 Alpine Communications is looking for amazing photos that represent the communities we serve, so we can put them on the cover of our 2018-2019 Northeast Iowa Regional Telephone Directory. Thousands of copies are distributed around Northeast Iowa, Southern Minnesota, and Southwest Wisconsin during the year and all winning images are proudly displayed on the walls of Alpine’s office at 923 Humphrey Street in Elkader. Alpine’s Photo Directory Contest is open to amateur photographers at all levels of experience. Our goal is to highlight the natural beauty and scenic settings that surround us while promoting the art of local photography. The winning photographer will receive a $50 Alpine Communications gift certificate. As a thank you, each person will receive one 5×7 print of one of their entries. Entries are open to customers of all ages who are Alpine Communications customers. Photos must have been shot within Alpine Communications’ serving areas of Elkader, Elgin, Guttenberg, Garnavillo, Garber, Marquette, McGregor, and the surrounding rural areas. Photos must have been shot within the past three years. Digital photos must be high-resolution, at least 300 dpi, and formatted as a .jpg, .pdf, .bmp, .eps, .tif, or .gif. Scanned or hard copy photo entries will not be accepted. Relatives of Alpine Communications employees are not eligible to enter. Send digital photos by the entry deadline of February 23, 2018. Include name, address, telephone, description of photo, and where the photo was taken. Limit two entries per household.